The team of environmental law specialized attorneys of D&B David si Baias, supported by PwC Romania environmental team, can provide integrated consultancy services on environmental protection matters, covering legal, technical and tax aspects. 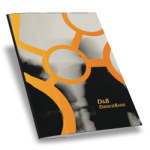 D&B acknowledges the importance of environmental protection for the economic development, constantly seeking to find practical and innovative solutions to complex problems that arise from the laws and policies governing environmental protection. assistance and representation in administrative litigations regarding various environmental matters.